The sateen is very soft and drapey. I used batiste for the lining so the skirt would still be light and cool for summer...but not see-through in the sun. This is my second Crescent Skirt. The first was way too big around the waist and although I took it in it still is too big and the zipper comes down (what's with that??). 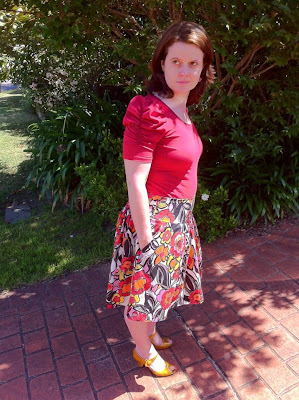 I made this two sizes smaller and held up the waistband and the side seams were spot-on. I decided to baste in the zipper to see how it fit for sure and it was too big. I couldn't figure this out until it finally occurred to me that my back is one, maybe two sizes smaller than my front. I have a sway back and a ahem protruding bottom. I do have mild scoliosis. My back actually is very concave. So I just tweaked the back waistband pieces and got a pretty good fit. To fit my sway back I usually take a horizontal tuck out of the back -- it didn't occur to me I needed to take out width. Yes, I know you all could see that coming but it took me a while to figure it all out. I finished the centre back seam with bias binding and I think I finally got it! This is the third garment I have bound the seam for and the other twice was less than satisfactory. This time I lined up the binding opened out with the seam edge and sewed on the fold. I then trimmed the binding and seam by half and folded the binding over. Then I stitched on the other side. I didn't have to worry about whether I caught in both sides. I love this seam finishing. For the lining I just folded the seam allowance over and stitched it down. I think next time I sew a skirt I am going to try a lapped zipper. I'm not 100% happy with how my zippers are looking. 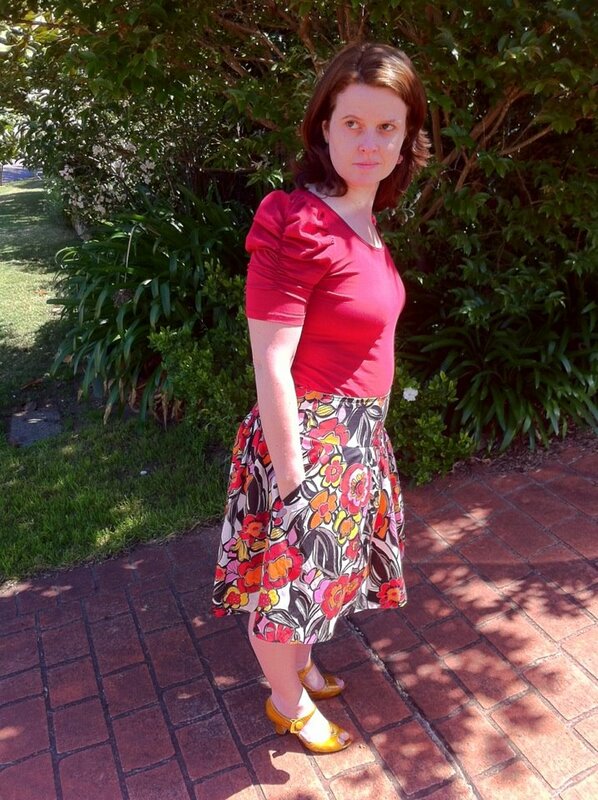 But I am happy with this skirt. In Autumn I'll wear it with tights and a cardigan.